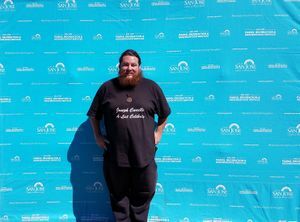 Joseph Whitfield Carrillo (born June 11, 1989) is an American Singer-songwriter, and Actor from Santa Clara County, CA, who created the 2018 "Pop, A Cappella" LP album Ultimate Celebrity Blackout. The album's lyrics are against censorship and blackouts of Celebrities hence the albums name. "Ultimate Celebrity Blackout" is about preventing media Blackouts and censorship while promoting free-speech and free-press. Carrillo has also released music videos which he starred in including Don't Black Me Out and You Don't Need School to be a Celebrity, he currently uploads videos on his YouTube channel about various topics including singing and acting. 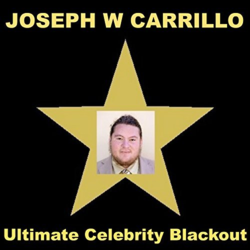 Ultimate Celebrity Blackout is the first studio album by American singer Joseph Carrillo. It was released on April 17, 2018, through Joseph W Carrillo Music. The Album has 10 original A Cappella songs. Most of the songs have lyrics promoting celebrity, free speech, and free press. ↑ "Election – November city council race gearing up as several seek mayoral seat | Morgan Hill Life". ↑ "Judge keeps ban on ballot box selfies in New York". ↑ "Election: Two incumbents report more campaign contributions - Morgan Hill Times: News". ↑ "Election: PACs, unions load city campaign coffers - Morgan Hill Times: News". ↑ "Election: City candidates report more campaign funds - Morgan Hill Times: News". ↑ "Election: Residents, relatives, developers chime in with campaign contributions - Morgan Hill Times: News". ↑ "Candidates sound off at forums - Morgan Hill Times: News". ↑ "Chamber to host city candidate forum at playhouse - Morgan Hill Times: News". ↑ "Election: Election: Lines drawn on Morgan Hill Measure S - Morgan Hill Times: News". ↑ "Election: Questions and Answers with mayoral candidates - Morgan Hill Times: News". ↑ "Taking the plunge - Morgan Hill Times: News". ↑ "Environmental Extremists Are an Asset to Our Movement". 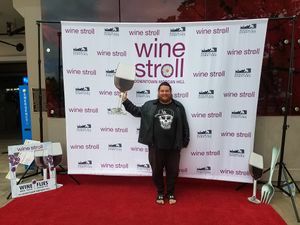 ↑ "Morgan Hill Mayoral Candidate Statement: Joseph Carrillo | Morgan Hill Life". ↑ "Vacant Water District Seat Draws High Level of Interest". 2015-12-04. 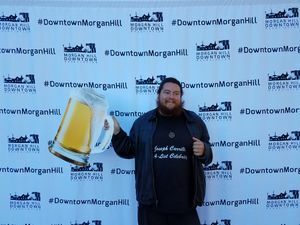 ↑ "Q&A with Joseph Carrillo, candidate for Morgan Hill City Council - Morgan Hill Times: Home". ↑ "Nov. 4 election: Four vying for two seats on City Council this November | Morgan Hill Life". ↑ "Community story: Candidates announcing runs for various local, county positions | Morgan Hill Life". ↑ "City celebrates grand opening of new council chambers - Morgan Hill Times: City Local Government". ↑ "Freedom Fest events expected to be a big blast | Morgan Hill Life". ↑ "Protesters wave American flags outside school that banned them on Cinco de Mayo". ↑ "Video: Cinco de Mayo Flag Flap Brings Silent Protesters". ↑ "South Bay school readies for Cinco de Mayo protests". ↑ "Cinco de Mayo protests planned for Live Oak HS". 2014-05-05. ↑ "Morgan Hill City Council: Incumbents win two open seats; mayor unopposed – East Bay Times". 2012-08-16. ↑ "Find out who's running for office in Santa Clara County". 2012-08-15. 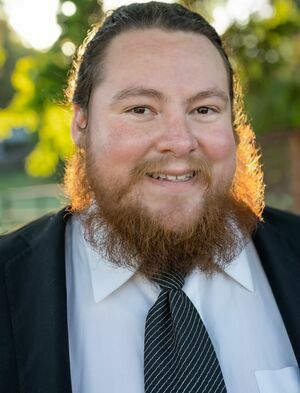 ↑ "Q&A with Council candidate Joseph Carrillo - Morgan Hill Times: Elections". ↑ "Power outage leaves residents hot, in the dark - Morgan Hill Times: Community". ↑ "Morgan Hill City Council results - Gilroy Dispatch". ↑ "Joseph Carrillo responds to questions - Morgan Hill Times: Archives". 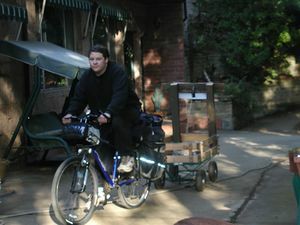 This article "Joseph Carrillo" is from Wikipedia. The list of its authors can be seen in its historical and/or its subpage Joseph Carrillo/edithistory. Articles copied from Draft Namespace on Wikipedia could be seen on the Draft Namespace of Wikipedia and not main one.